IS FIXED PROPERTY IN A TRUST STILL VIABLE? Gerrie Vosser examines the tax and costs related to different scenarios in order to determine whether it is still a feasible option to hold fixed property in a trust. For many years the high transfer duty rate applying to trusts made it less attractive to purchase fixed properties in trust, a situation that changed, quite unexpectedly, for the better when on 23 February 2011 the transfer duty rate for trusts was adjusted downwards to the same more favourable rate as those for natural persons. However, just as unexpectedly, in the 2012 budget capital gains tax (CGT) inclusion rates were increased, resulting in trusts now being exposed to a maximum effective CGT rate of 26.7% compared to those of 18.6% and 13.3% for private companies and private individuals respectively. Concerns have subsequently been raised that ownership of fixed property in trust as a way to create, protect, utilise and transfer wealth may have been dealt a crippling blow. However, these concerns turn out to be unjustified when various fixed property ownership options are analysed from an integrated, multi-disciplinary point of view. Property owned by a private company the shares of which are held by Joe. 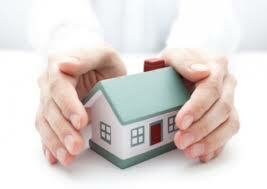 Property owned by a fully discretionary family trust with a personalised beneficiary base. Clearly, Joe’s dependents would have been much better off with the investment property in trust. Original ownership in trust would have prevented these costs associated with a bequest to a trust. Using the conduit principle, trust gross income is distributed to two non-income earning Bloggs family members resulting in no income tax having to be paid. A trust is the best option again. In suitable circumstances and from a tax and cost point of view, a properly structured and professionally used discretionary trust without doubt still provides the optimal ownership solution for an investment property. 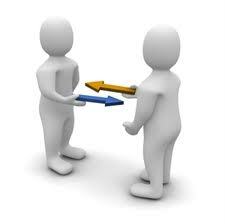 Remember however that tax benefits should never be the primary reason for establishing and using a trust. Tax legislation may change for the worse; and personal circumstances may change and neutralise potential tax benefits. Remember too that the planning, drafting and upgrading of trust deeds, as well as the management and administration of trusts requires multi-disciplinary professional skills. Members of the public are advised to seek out a practitioner who is a member of the Fiduciary Institute of South Africa (FISA), who are bound by a code of ethics to adhere to a high professional standard. He referred mainly to the economic meltdown in 2008 but failed to mention the current crises being created by short term and unsecured lending. It appears that lenders are favouring “fast” money. These credit lines are characterised by high interest rates (reaching up to 60% per annum) for unsecured loans repayable over shorter periods which range from 3 months to 5 years. In comparison, a bond repayment period is usually extended over 20 years, with interest rates currently ranging between 9 and 12% per annum. Recent statistics reveal that the rand value of unsecured lending is on equal par to that of secured lending. With some 2,2 million South Africans in need of a home, it is a concern that mortgage approvals rose by a mere 4% in the past two years. This stands in stark contrast to unsecured lending which rose by 54% over the same period. We are unsure how the National Credit Act and ‘risky’ lending policies are applied. My Budget Fitness has therefore introduced the HomeOwnerPropertyEducationSchool as a service to prospective buyers to improve their chances of obtaining home loan finance. Attendees are shown how to improve their credit rating and affordability. They will learn how to increase cash flow by reducing monthly credit commitments through hands on education and training. We regularly encounter clients who have unsecured loans that are 4 to 5 times larger than their monthly salary. Prospective buyers who are over indebted with unsecured loans will quite often find their home loans declined. It appears that, since the introduction of the NCA, the general public is not necessarily receiving more protection against reckless lending, but rather just faster ways to obtain debt as lending institutions have developed advanced technology to expedite the approval of an unsecured loan. One recent example is a client whose home loan was declined due to debt impairment and over-indebtedness. Joe (not his real name) borrowed R 9 000.00 from A Bank to pay back a loan taken out from C Bank 2 months ago. The loan from the first bank was a 4 month loan and cost him R2 400 per month. When Joe realised that he was struggling to pay the R2 400 per month, he then took up a new loan of R9 000 with another bank, with a repayment period of 8 months, which costs him R1 600 per month. His new monthly repayment is now less that the first loan, but in effect the new loan will cost him R12 800 in interest over and above the capital of R9 000.00 that has to be paid back by the end of the loan term. It will come as no surprise if he borrows a larger amount after 8 months to pay back the balance then due. The rapid increase in unsecured lending increases the debt burden and has a negative effect on the credit profile of the people who are most desperate to own their own home, those that want to buy a house in the price range between R250 000 to R600 000. In the current “affordable home loan” market, for every 1000 interested buyers, a property developer can expect to convert an average of only 40 into home owners. The search for mortgage finance by a prospective home owner may start with online research on how to obtain a home loan, as some websites offer home loans even to “blacklisted” customers. If you visit your bank or work through a mortgage originator you will find that banks are in an extensive campaign to out-do its competitors to provide more attractive banking packages. However with interest rates being the lowest in many years, in the affordable home loan market more that 65% of all home loan applications are still turned down. Property developers say that they have to sell the same house three times before the bank will approve the buyer for a home loan. The lack of affordability to service the required bond repayments and impaired credit behaviour appears to be the main reason why bonds are declined in the affordable market, such being household incomes that earn below R16 000.00 per month. We conducted a study over the past 4 years to show why home loans are declined and decided to offer a service to prospective buyers by guiding them through the basic steps on how to buy a home. We realised we need to introduce education and budget behaviour which started the concept of ‘HomeOwnersPropertyEducationSchool’. In the School we show the prospective buyer how to buy a home with reference to the A B C, such being special focus on Affordability, Behaviour and Castle, the latter being the property and or deposit offered as security if required. As the foundation, home ownership education to the prospective buyer is supported by Setsmol, a company specialising in home ownership education for clients of Standard Bank, ABSA, FNB, and Anglo Mines. The service and experience of Setsmol, who has been involved in home ownership education for more than 10 years, is invaluable as Setsmol has trainers throughout South Africa, and can perform the training in most of the official languages. E- Learning, which was recently introduced through the collaboration of another group, expands the service and enables the participant to work through a series of web-based training modules in support of the home ownership education. 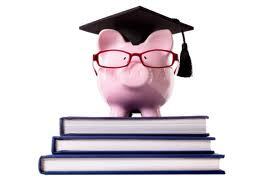 We need to enable a client who participates in the education programme to change his credit spending behaviour. First we discuss the client’s goal – and then work out a plan to reach the goal. The goal of the client is usually linked to the purchase price of the property he wants to buy. With the client’s collaboration we then analyse and capture his monthly budget and debt exposure through a Budget Calculator. A revised budget will be prepared for the client with the aim to meet his goal. Not every goal and time period will be the same as each client has different debt exposure, income and surplus funds that need to be worked with. The client usually participates for a period of 6 months or longer in the programme and receives mentorship and education on a regular and structured basis. A tool to track expenses through a mobile phone was developed. We found that few clients actually have a budget and manage their salaries and expenses on a structured manner. We thus had to provide a tool to assist the clients to make the budgeting easy, which is why we developed the mobile2budget tool to capture each rand that you spend through your mobile phone. Since not every customer has a smart phone the challenge was to develop a tool that can relay a budget expense through a USSD or a WAP message to ensure that any type of phone can use it. With Mobile2budget you can first create your own budget, and then capture each rand that you spend by using your mobile phone. Messages are sent in an electronic format to a ‘back office’ electronic bookkeeping system that captures each expense in a particular category, such as food, entertainment and petrol and 25 other expense categories. You can view your expenses by logging into the website and soon adjust your expenses as you become more aware of your actual spending. To enable you to stay within your budget, your personal trainer and mentor will engage with you on a regular basis to assist with planning and suggest changes to ensure that you stay within your budget. Only once you really know how much money you waste on unnecessary items can you start to adjust and trim your budget. In doing so you will start to reduce your debt and thus improve your credit rating and profile. We are amazed how our clients change their behaviour and regularly phone us to announce, “I have just received extra money and used this money to reduce debt that used to keep me awake at night – I am now closer to reach the dream of owning my home.” Prior to enrolling in the education programme, they would have spent that extra money over the weekend. The concept to rent a property with the option to buy also forms part of other products developed over the past few years. With rent2buy, the prospective buyer will rent a property and pay rental that is equal to a bond repayment, plus rates and taxes. Additional rental payments, over and above the market related rental, can be credited to the purchaser to enable him to build up a savings account during the duration of the rental period. It is required that the rent2buy tenant participates in the budget fitness rehabilitation for the duration of the rental period. Not every client whose bond has been declined will be able to rent a property with an option to buy, as the client must first pass the rent2buy required affordability and credit behaviour test. During the 6 month period in the School, the client receives the assistance of the budget fitness mentor, a bespoke personal budget, a budget calculator, home ownership education, E- Learning and the mobile2budget tool. These work together to support the quest to become a responsible borrower who will understand the responsibilities of managing a budget, servicing a mortgage, rates and taxes and understands the obligations of a home owner. One of our main objectives is that, once a property is purchased, the owner must not lose the property. After all, your home is your castle! One major bank has already engaged in a pilot project and many property developers are also participating. They realise the value of education, which is the key to responsible and sustainable lending. Gustav Zwiegelaar of SA Home Loans uses a simple analogy to illustrate the three basic requirements of a successful home loan application. These are incorporated into the school curriculum to illustrate the basic principles of a credit decision to prospective buyers so as to help them meet the credit requirements of lending institutions. We call it the A B C of a Home Loan application. A – Affordability: A savvy home loan provider must look at all financial responsibilities and commitments and see whether there will be sufficient net income to meet these as well as repay a home loan and have a surplus for unforeseen circumstances. This is done by scrutinising banking account statements and salary slips as well as personal credit reports. B – Behaviour: Home loan providers look at how potential clients honour other credit agreements, such as clothing accounts, vehicle purchase agreements, service agreements and so on. This is also obtained from an independent credit report. Specific behaviour is often reflected in banking account statements. This may be in the form of good credit balances on the one hand, or returned debit orders on the other. C – Castle or house: (As per Gustav he is taking some literary licence here – we know your home is your castle) There has to be sufficient value in the property to at least meet the value of the loan, and preferably a little more. As such the availability of a deposit may improve your chances to obtain a home loan. However, some banks do offer 100 % loans, depending on your credit and risk portfolio. Gustav says, “If I had money for every time I have been told that there is so much value in an applicant’s property and we can just take it back if the repayments are not made, well, you can guess the rest. The truth is that we are not in the business of taking and selling homes. We don’t want to. It is important that all three factors are satisfied in order to extend a loan.” That is simply a responsible approach. When administering and winding up estates, one realises the crucial importance of a will. This might be one of the most important documents you will draft and sign during your lifetime. Death, in itself, is such a difficult time for the loved ones you leave behind. Your will (or the lack thereof) should not complicate matters even further. By having your will drafted in a clear and unambiguous manner, you will ease the future administration of your estate. 1) It is the only way in which you can ensure that your estate will be divided according to your wishes after your death. 2) If you do not have a valid will in place when you die, your estate will simply devolve according to the intestate rules of succession, which can be both inflexible and impractical. You will have no control as to who will inherit from your estate, with the result that the wrong person(s) may receive a portion/benefit from your estate. There are also many rules and regulations that need to be adhered to, which may further delay the administration of your estate and run up unnecessary costs. 3) In your will you have the opportunity to nominate an Executor to take control of your affairs once you pass away. The role of the Executor is to protect your assets, settle your debts, identify your heirs and distribute your assets in line with your will, a process that is overseen by the Master of the High Court. This role can be fulfilled by any adult person whom you trust, whether it is your spouse, major child, friend or a professional person such as an attorney or accountant. It is advisable that you nominate an alternative (second) Executor, providing for the situation where your first nominated Executor is not willing or able to perform the duties of an Executor at the time of your death. Furthermore, it is advised that you stipulate the executor’s fees as agreed to by yourself and the nominated Executor as this fee may be quite substantial, depending on the value of your estate. 4) If you have not appointed an Executor, your beneficiaries will have to decide and agree on a nomination and submit same in writing to the Master of the High Court, who has the final discretion in accepting the beneficiaries’ nomination and/or requiring the addition of an agent to assist the nominated Executor. This route will delay the winding-up of your estate considerably, especially if the Master does not accept one/more of the beneficiaries’ nominations. In addition hereto, the Master may require that the Executor, appointed as set out above, provides security for the estate’s debt. Such security will normally take on the form of a security bond from a short term insurance company for the value of the assets reflecting in the preliminary inventory submitted to the Master. This will cause great and unfortunate inconvenience for the nominated Executor. A well drafted will usually contains a clause specifically exempting the nominated executor from having to furnish security. 5) By having your will drafted clearly and unambiguously, you will prevent a situation of heirs squabbling about who gets what. Disputes about the estate’s assets and debts frustrate and delay the administration process. In addition hereto, existing relationships between heirs may take a terrible, even permanent, blow. 6) Should you pass away without a will and you leave minor children behind, their inheritance, in terms of the rules of intestate succession, must be paid into the Guardian’s Fund until they reach majority. A downside to this happening is that the interest rate on the investment may be low. A further difficulty is that, should you leave behind a valuable property, the surviving spouse and/or major children may be forced to sell the property in order to raise the necessary funds to be transferred into the Guardian’s Fund on the minor child’s behalf. This situation can easily be avoided by making provision for a testamentary trust in your will into which all assets inherited by a minor child will be transferred and kept until he/she reaches majority or an older age you may stipulate in your will. 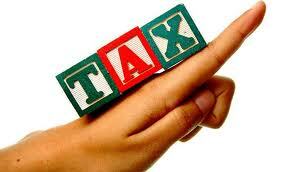 7) For the more sophisticated planner, a valid will can be used as an effective tax planning tool. With the assistance of a professional/expert, you can legally structure your portfolio and draft your will in such a way as to minimize your estate duty liability upon death. Estate duty is payable from the residue of your estate, which is the portion that is left after all legacies and bequests have been paid out. Should the estate duty payable on your estate by unnecessarily high, the heir(s) inheriting the residue, will receive less than you might have intended. Taking into account the knowledge and experience required to draft a will properly, paying for the good advice when drafting your will is a small price to pay. Be pound wise – contact Meyer De Waal (meyer@oostco.co.za) for a consultation for the drafting of your will if you do not already have one in place. As if there are not yet enough different types of taxes doing the rounds, Securities Transfer Tax (STT) is just another way in which SARS makes a buck. In the past, the Stamp Duties Act, 1968, catered for the registration of transfer of unlisted securities whereas the Uncertificated Securities Tax Act, 1998, catered for the change in beneficial ownership of listed securities. These two pieces of legislation were repealed with effect from 1 April 2009 and 8 January 2008, respectively. The Securities Transfer Tax Act, 2007 (Act No. 25 of 2007) was introduced to replace the two different tax types on securities with a single tax in respect of any transfer of listed and unlisted securities and simplify the administration thereof. (c) a cancellation or redemption of a security if the company which issued the security is being wound up, liquidated or deregistered or its corporate existence is being finally terminated. The consideration for which the security is purchased. thank the lowest price on that security. iv. The market value of the security on the date of acquisition. The amount or market value of the consideration given for the transfer of the security. Where there is no consideration given or the consideration is less than the market value of the security, the market value of the security. Where the security is cancelled or redeemed, the market value of that security immediately before the cancellation or redemption value must (market value must be determined as if the security was never cancelled/redeemed). The member is liable for the payment of the tax to SARS. The member may recover the tax payable from the persons to whom the securities are transferred or from the person that cancels or redeems the securities. The participant is liable for the payment of the tax to SARS. The participant may recover the tax payable from the persons to whom the securities are transferred or from the person that cancels or redeems the securities. The person to whom the listed security is transferred is liable for the tax payable. The tax must be paid through the member or participant holding the listed security in custody, or in the case where the listed security is not held in custody by either a member or participant, through the company that issued the listed security. The company which issued the unlisted security is liable for the payment of the tax to SARS. The company may recover the tax payable from the persons to whom securities are transferred. In respect of the transfer of listed securities, STT must be paid by the 14th day of the month following the month during which the transfer occurred. The STT attracted by the transfer of unlisted securities, must be paid by the Company, which issued that security, to the Commissioner within two months from the end of the month in which the transfer was effected. When unlisted securities are transferred, SARS requires that notification be given in that any person to whom an unlisted security is transferred must inform the company which issued that security of the transfer within a period of 30 days as from the date of that transfer. Should the STT due not be paid in full within the prescribed period, interest will be imposed at the rate prescribed for tax purposes on the balance of the tax outstanding, calculated from the day following the last date prescribed for payment to the date of payment to SARS. As with all tax related documents, any company which issued unlisted securities and any member, participant or person to whom a listed security is transferred must keep for a period of five years records of every transfer to enable them to observe the requirements of the Securities Transfer Tax Act and to enable the Commissioner to be satisfied that those requirements have been observed. As they say, for every general rule, there is an exception. There are a few exemptions applicable to STT. Should you be interested in the transactions which are exempted from STT, you are welcome to explore these on SARS’s website, as they are set out in great detail there. Following suit and aligning its tax on dividends with international practice,South Africais the latest country to replace its secondary-tax-on-companies (STC) regime with the controversial dividend-witholding-tax (DWT), which came into effect on 01 April 2012. STC was payable at a rate of 10% of the net dividend amount. The net dividend amount is calculated by taking the dividend declared during the dividend cycle less any dividend accrued during the same period. To illustrate this concept, if a company X declares a dividend of R 100 000 on 1 January 2012 and has accrued dividends of R 60 000 from other companies, the net dividend amount will be R 40 000 (R 100 000 – R 60 000). STC at 10% of R 40 000 = R 4 000. This amount is then payable to SARS over and above the dividend of R 100 000 payable to the shareholder. The liability therefore rested with the dividend declaring company. Should the dividends accrued exceed the dividends declared by a company, no STC is due or payable. The amount by which dividends accrued exceeds dividends declared is treated as a STC credit, which is carried forward to the next dividend cycle and set off against the next dividend declaration. DWT, on the other hand, is a tax levied on the shareholder instead of the dividend declaring company, as is the case under STC. As DWT came into effect on 01 April 2012, all STC credits had to be disclosed to SARS by way of an IT56 form, whereby a company declares dividends on 31 March 2012, irrespective of whether the company has dividends to declare or not. A company’s net STC credits on 31 March 2012 will be carried forward into the new DWT regime on 01 April 2012, which may then be used over a period of five years thereafter. DWT is levied on dividends declared and paid by companies resident inSouth Africaas well as foreign companies which are listed on the JSE (Johannesburg Stock Exchange) at a rate of 15%. This rate is 5% higher than the initially proposed 10% which was in line with the STC rate. In this instance, the declaring companies are required to withhold the DWT and pay same over to SARS and subsequently pay the remaining (net) portion of the declared dividend over to shareholders. In order to qualify for the abovementioned exemption, beneficial shareholders are required to submit a declaration to the declaring company, notifying it that they are exempt from DWT, along with a written undertaking that they will notify the declaring company of any changes in their details. Should the exempted shareholder not comply with these pre-requisites, DWT will be withheld by the company and the shareholder will thus not enjoy the benefit of the exemption. SARS will hold the beneficial shareholder and the company jointly and severally liable for the payment of the taxes until the liability has been discharged. Foreign shareholders are not exempted from DWT. Should such shareholder reside in a country other than a treaty country, DWT will be levied at 15%. If a foreign shareholder resides in a treaty country, the rate provided for in the double tax agreement (DTA) will apply, which rate may be less than 15%. In order to qualify for this exemption, foreign shareholders must declare to the company that they reside in a treaty country (in terms of which a reduced DWT rate applies) and furnish the company with a written undertaking that they will notify the company of any changes in their details. If the declaring company sets off its STC credits against the declared dividend during a particular dividend payment, it has to notify the shareholders receiving such dividend that a STC credit was used and the extent of such credit. As SARS does not have jurisdiction in foreign countries, it is doubtful whether SARS will require declaring companies to send notifications to its foreign shareholders too. Even though one or more of the shareholders are exempted from DWT and will never use the STC credits, the declaring company is still required to reduce its STC credits by the portion attributable to such beneficial shareholder/s. Dividends received by a company after 01 April 2012 will generally not form part of its STC credits. The only way in which a company’s STC credits can increase after 01 April is when it, as a shareholder of another dividend declaring company, receives notice from that company of an amount by which the declaring company’s STC credits have been reduced by a particular dividend payment to the receiving company. The STC credit of the receiving company will then increase with the proportionate reduction in the declaring company’s STC credit. Thus, this is basically a transfer of STC credits from one company to another. However, should the STC credit be “used” on a shareholder who does not declare dividends and can therefore not use the STC credits, e.g. an individual, the STC credit will be lost to the fiscus. As SARS does not have jurisdiction in foreign countries, STC credits used on foreign shareholders will also be lost to the fiscus and not transferred to the foreign juristic shareholder. Along with the new regime came an additional layer of administrative rules and regulations. This will burden further the already compliance burdened tax payer. Additional supporting data required to accompany a dividend tax return is onerous. Although dividends will now be taxed in the hands of the shareholder, the company declaring the dividends will act as a collection agent on behalf of SARS. Whether the taxpayer and SARS will be able to handle and efficiently manage the new tax regime remains to be seen.